“I look at boxing as 90% psychological… the physical side has very little to do with it, if anything” – those are the words of Tyson in “Sporting Heroes” (2014). Most people view boxing as a very physical sport. 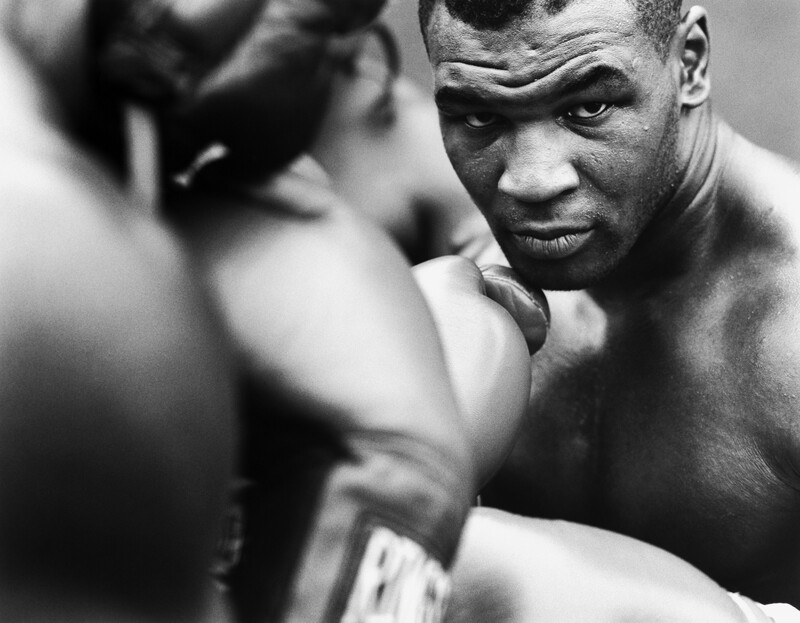 According to Tyson his success “was all psychological”. Over the years he has revealed how he trained his mind and spirit to become a master of boxing. You can use these techniques and philosophies to raise your game in sports, business or life in general. It is the art of mastering your own thoughts, to create the life that you want. To win the war against your own mind, which is almost always the only real factor stopping you from achieving what you want. “If there is no enemy within, the enemies outside cannot hurt you”. The Tyson story is a perfect illustration of this. “I don’t care how big or strong you are, if you don’t have the spiritual warrior in you, you’ll never be a fighter”. Cus would speak to Mike about fear: “Your mind is not your friend Mike, I hope you know that. You have to fight with your mind, control it”. Mike was taught that before a fight, his mind would create imaginations that his opponent looks bigger than him and more confident. “But when the bell rings, and you come into contact with each other, suddenly your opponent seems like everybody else, because now your imagination has dissipated. The fight itself is the only reality that matters. You have to learn to impose your will and take control over that reality”. Fear is just your imagination exaggerating the threat in front of you, and this must be realised. Tyson worked hard on not letting his fear stop him from performing. At the age of just 14 Mike became a true believer in Cus’s philosophy. He knew that if he wanted to become heavyweight champion of the world, he had to start living the life of one. “Always training, thinking like a Roman gladiator, being in a perpetual state of war in your mind, yet on the outside seeming calm and relaxed”. Mike was practicing the law of attraction without even knowing it. To increase Mike’s focus, D’Amato would teach him to clear his mind of all distracting thoughts through Zen, a type of Buddhism. Cus had Mike repeating the words “(I’m) The best fighter in the world. Nobody can beat me” over and over again. If you repeat something to yourself enough times, you will eventually believe it. 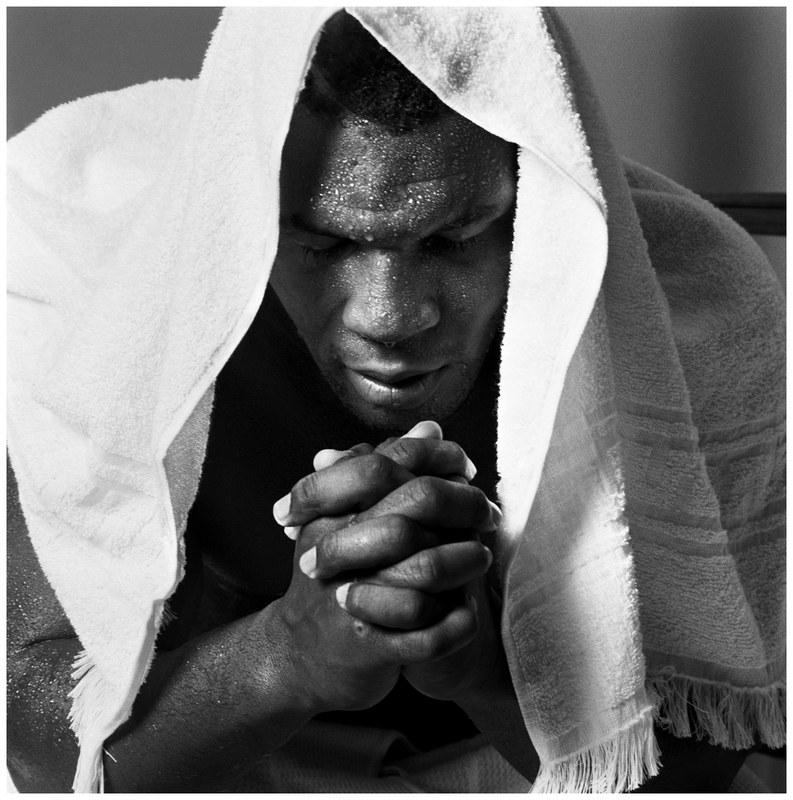 Mike was given a mission by Cus, to become the youngest heavyweight champion of all time. “This is no joke, this isn’t fighting for trophies this is fighting for destiny” said Mike. “I was so focused I would even sleep with my boxing gloves on sometimes”. “I wanted glory and I wanted it over their blood”. At night Cus would come into Tyson’s bedroom while Mike was in bed and repeat his teachings to really sink them in. Every action and thought was designed for success in the ring, and the fuel was a serious desire to win. 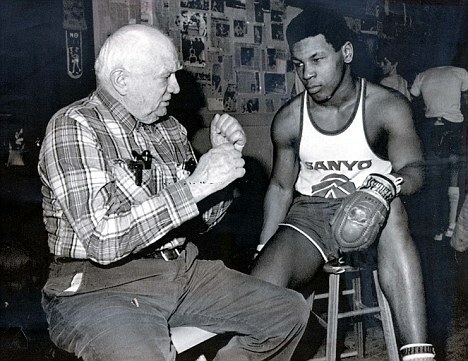 D’Amato built Mike’s confidence and ego until it was towering above all opposition. You could conquer any world”. “You are a colossus among men”. Cus was removing all doubts from Mike’s mind and building his self-image to grandeur. Mike said that he would read books about history’s greatest warriors; Gengis Khan, Alexander The Great and Achilles. He would regard himself as being just like them. He said this was the only way to become great. You have to believe you’re greater than you actually are. “Fake it till’ you make it”. “I could take on Achilles or Alexander the Great. Being that person I’m invincible. 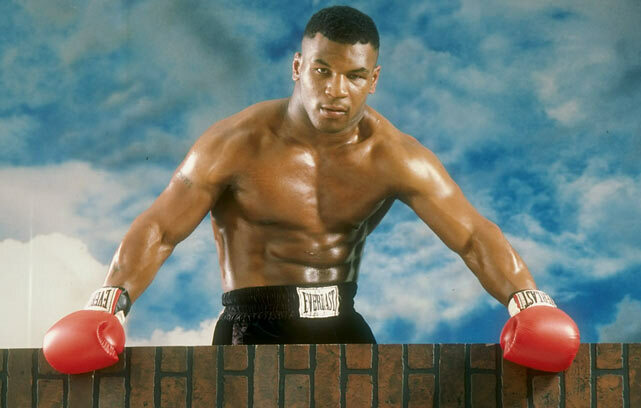 But being Mike Tyson the tough kid from Brooklyn, I’m just a black guy that’s going to get beat”. The idea of believing you’re the best is used by champions across many sports. But Mike was extreme: “I wanted to be Achilles right then”. Looking back at those days, he now declares that he was a “sick megalomaniac”. Under Cus’s orders, Mike began to play the part of a mean guy even in his amateur bouts. “Cus wanted the meanest fighter God ever created”. If an opponent came to shake his hand before a bout, he was taught to ignore it. He would scowl at people as they walked by. “I learned to project my fear on them”. Mike says “Intimidation is an art” “Intimidation is the most magnanimous factor in life”. “He’s not a soldier. He’s the Trojan horse. He’s the guy who knows how to sneak into these guys’ consciousness to completely strip them of any chance they could have of performing”. Weakening your opponents beforehand is a genius tactic that increases your chances of success massively. Mike studied great fighters from the past and copied literally everything they did to maximise his chances of success. “Most of my comments that I said was comments made by other boxers that I read when I was a kid… I didn’t really know how to be a person myself”. “I watched how they shook hands, how they held their cigarette, everything”. “I morphed myself into their lives”. He copied the haircut of Jack Dempsey and posed like Jack Johnson. After a fight he even quoted Apocalypse from X Men “How dare they challenge me with their primitive skills, they’re just as good as dead”. Mike was so indulged in this role that he never actually developed his own true identity. To the public, this was his identity. “You are the world’s greatest fighter… this is what you were actually born to do. Your jab is like a weapon. You throw punches that are ferocious, with bad intentions. You are a scourge from God. The world will know your name from now until the eons of oblivion”. The result was super-natural confidence and God-like authority in the ring. There was no way another fighter entered that ring against him with as much purpose and self belief. Teddy Atlas said that when people saw Tyson fighting the way he does, he did indeed look like an animal. But in reality, all he was doing was executing what he was taught. The plan worked as his opponents were often scared to death of him, and the public’s excitement amplified this. His style embodied his psychology: “I wanted to break their will”. 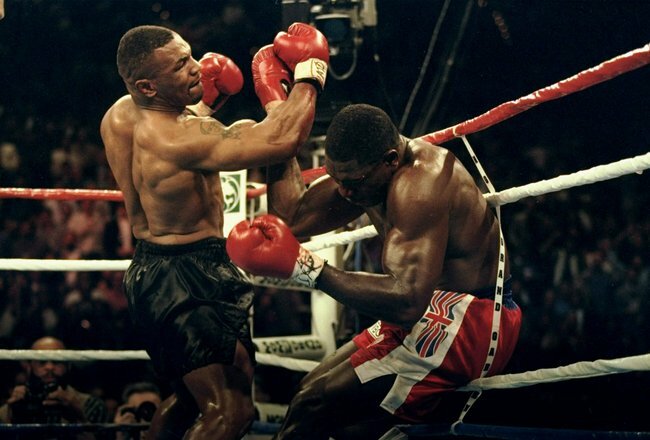 Tyson admitted “I beat most of my opponents before the fight even started”. 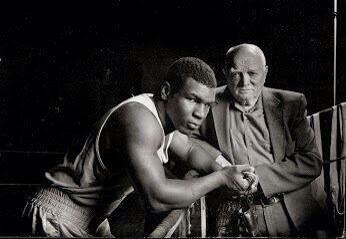 “Tyson never vanquished anyone. They vanquished themselves”. All that training carried him right to his life goal: he became heavyweight champion of the world aged just 20 years old. From that point on he said “Now I was free” and he didn’t have true desire to fight anymore. His fall from grace followed swiftly as he became complacent, arrogant and undisciplined. In order to sustain success, we must set new goals every time we reach our current ones. 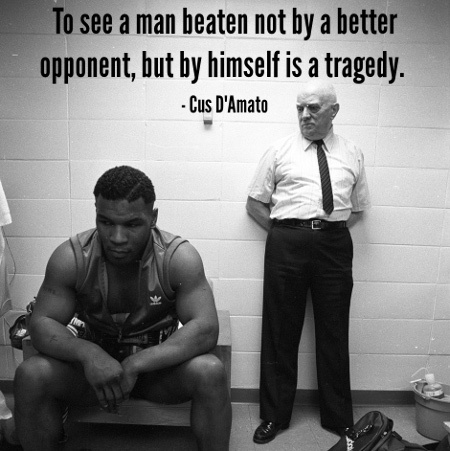 The world remembers Tyson as a powerful man in a brutal sport. After learning his training and preparations, one can recognise that he mastered his mind to become what he wanted. “Everybody thinks this is a tough man’s sport, this is a thinking man’s sport. A tough man is going to get hurt real bad in this sport”. We can all learn from Tyson’s success. Like boxing, most professions are not as simple as what they seem on the outside. An intense regiment of self help, education and dedication to your craft can take you to the top. If you enjoyed this article, please share it using the buttons below. Thanks for reading!